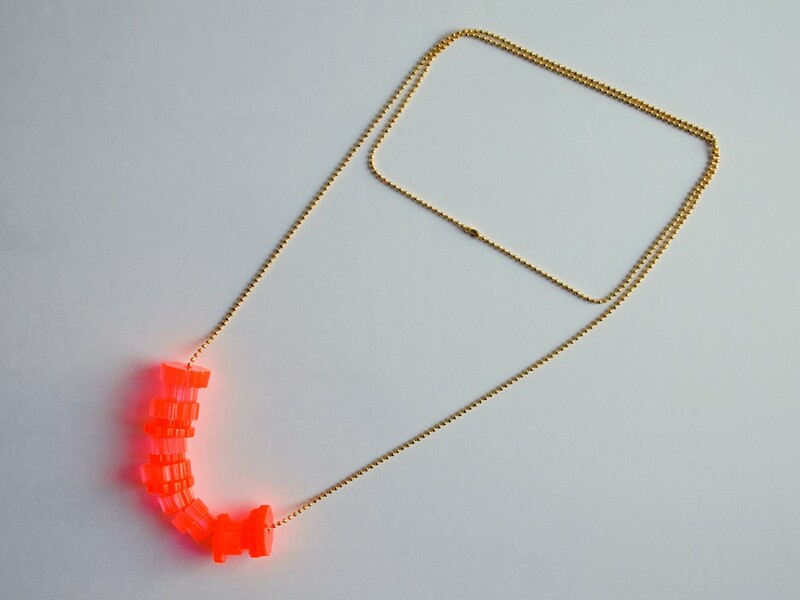 Custom designed laser cut fluorescent pink beads strung on long gold plated ball chain. 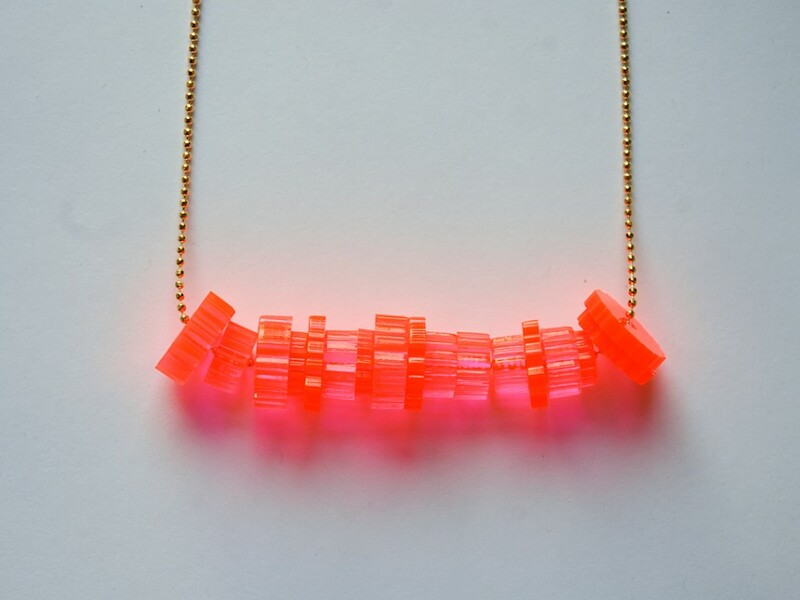 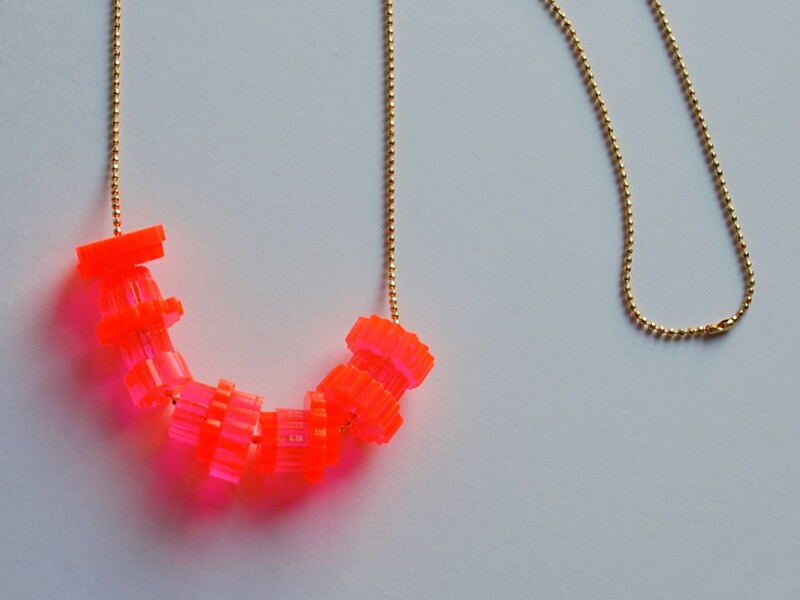 The fluorescent pink beads catch the light for an intense pop of color! 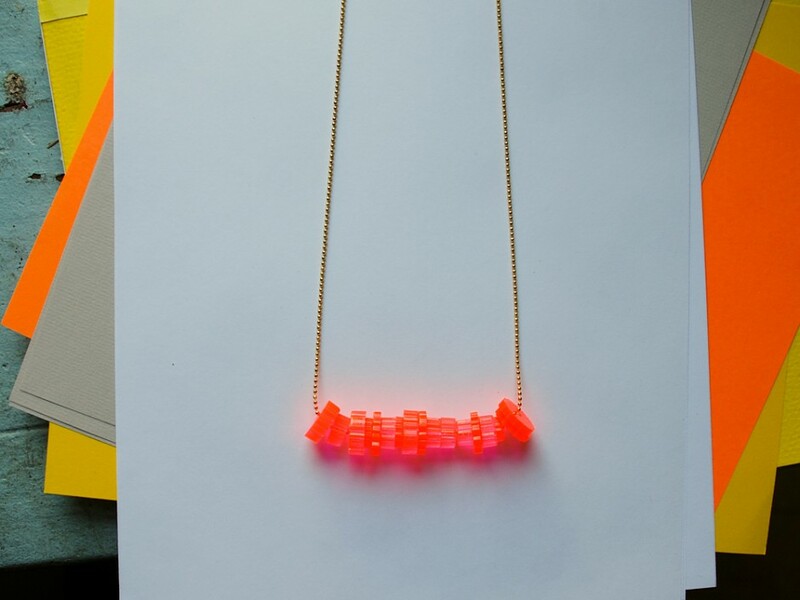 Great for summer!